The mission of the school’s Operations Team is to make teaching better and easier by directly supporting the academic program. The Operations Manager (OM) position is integral to the success of this mission, as they will ensure our staff and our scholars’ have everything they need – from materials and supplies to a beautiful and high-functioning work environment – to maximize student achievement. The OM will implement and manage clear systems, revising them as necessary or needed, so that Coney Island Prep runs smoothly on a day-to-day basis. He or She will work to ensure all staff can focus on students rather than materials, supplies, etc. 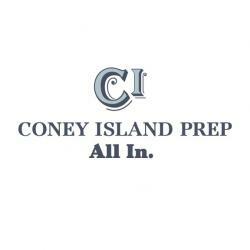 He or She will oversee and optimize the school’s purchasing, inventory, facilities, and technology environment and will ensure Coney Island Prep is a beautiful, seamless and high-functioning learning environment. The OM will also be responsible for managing the school nutrition program, student and staff event planning, as well as the student transportation system. The OM will be hired by and report to the Director of Operations. Oversee approval process, staff communication and documentation associated with purchasing of school materials, uniforms, equipment, etc.